The Russian president has signed a decree firing Moscow Mayor Yury Luzhkov, who was in power for almost two decades. 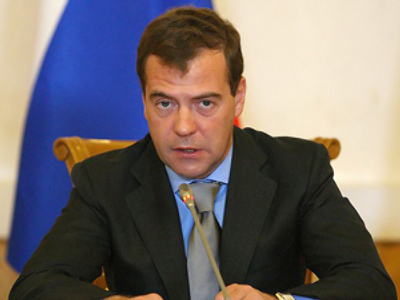 Dmitry Medvedev says he did so due to a loss of confidence in the city's top official. “I decided to dismiss the mayor of Moscow. The decree I signed states that I, as President, have lost trust in Yury Luzhkov. And it is a legal reason for his dismissal. It has happened for the first time but I don't rule out that such cases might happen again. I cannot work with officials I cannot trust,” stated Dmitry Medvedev. The president has appointed first deputy mayor Vladimir Resin acting mayor of Moscow. Commenting on Luzhkov’s dismissal, Vladimir Putin acknowledged that he had done a lot for the development of Moscow, but forgot about the boundaries in his defiance. Putin added that he and President Medvedev have already discussed candidates for the mayor’s post, but the decision on the matter is yet to be made. 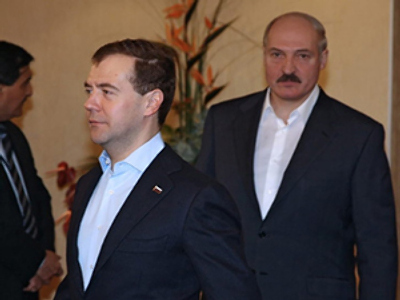 Medvedev’s press secretary Natalya Timakova told reporters in Shanghai on Tuesday that the president was not planning to meet with Luzhkov. She added that Luzhkov had been granted a vacation to make a decision on his retirement. The spokeswoman reminded that, according to Russian law, the head of a Federal Region can lose his post either after seeking dismissal or by the order of the head of state. Timakova said that after Luzhkov made his position clear on Monday, it was for the reporters to make conclusions. Apart from losing his post, Luzhkov also lost his place in the United Russia party. However, in this case the decision was his own. The former mayor accused the party of failing to demonstrate support for him while several major Russian TV channels aired reports about his wrongdoings. 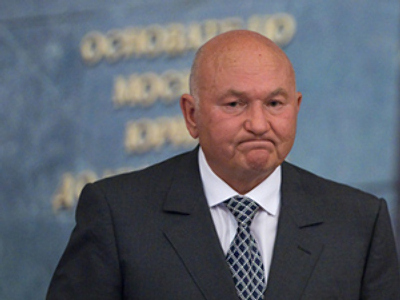 United Russia party member Konstantin Kosachev said that, despite his colleagues’ efforts, Luzhkov had lost connection with reality. 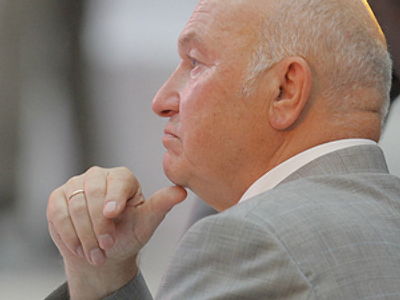 Yury Luzhkov held the mayor’s post for 18 years. Throughout these years he managed both to maintain good relations with the country’s leaders and to gain support from voters due to populist policy sponsored by the city’s budget. However, Russian and foreign media have repeatedly reported that Luzhkov had used the economic potential of the post to the full. According to these reports, Luzhkov started making his fortune on the economic crisis of the late nineties. Most multi-million construction projects in Moscow are believed to have no other point but a cover up for his money laundering. The money that the Russian government annually allocates to improve infrastructure rarely makes it to the ramshackle roads of Moscow. While the country was losing money during the economic downturn in 2009, Luzhkov's income increased. The former mayor claims it is not his money but his wife’s – Elena Baturina – who is Russia's only female billionaire. She owns a property development company and many claim it was Luzhkov's political clout that landed her the deals. However, money laundering is not the only thing Yury Luzhkov is being accused of. 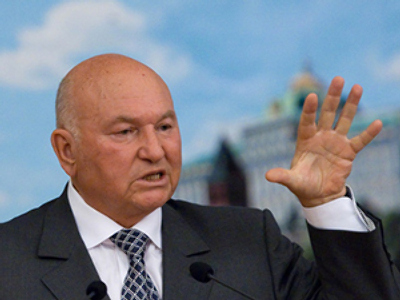 Both in Russia and abroad Luzhkov is known for his strong anti gay stance. He has never officially allowed marches to be held in the city, and has instead cracked down several times on gay pride parades. This summer many blamed him for mishandling the severe smog situation in Moscow. The city chocked on toxic smoke for almost a month as wildfires raged while he was on vacation out of the city. 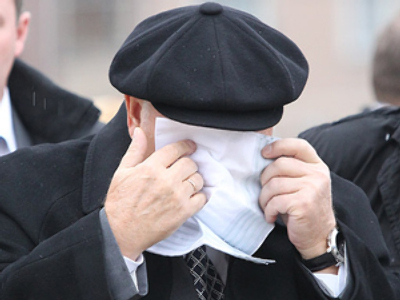 Criticism that Luzhkov concentrated more on his own health than that of the city's residents was widespread. Another thing Luzhkov has drawn criticism for is the deconstruction of the city's historical and architectural heritage. As a result, his firing notwithstanding, Luzhkov’s imprint is likely to remain on the streets of the Russian capital for years to come. 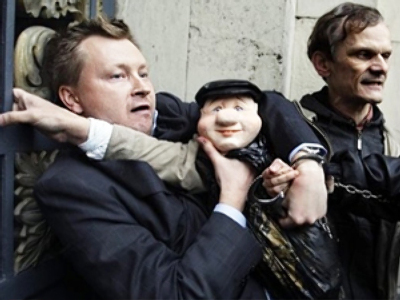 The removal of the mayor has been met with mixed reaction from Muscovites. Others, however, were not so elated. “When he came to his position in Moscow, there was chaos. He did do something, but you can't stay in one place for too long. His age and strong family ties played against him, the city now looks neglected – he didn't reconstruct the roads, he prefers building hotels,” a man told RT. “I can't say whether Luzhkov is good or bad, he is a very contradictory person, like any of us. There are many things in Moscow I am against – like the newcomers who are now like hosts making us feel like guests. I am against such a barbaric reconstruction of Moscow, but of course, there were many positive things during his term, like social programs, for example,” a woman shared. Luzhkov’s charisma is one of the reasons for his enduring popularity, says Olga Kamenchuk, a sociologist from the Public Opinion Research Center. 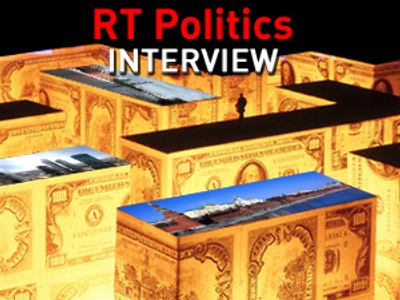 She helped RT explore the reasons behind the differing views of Luzhkov on the streets of Moscow. As Muscovites weighed in on their mayor's sacking, Jonathan Sanders, a former CBS correspondent in Moscow, described the ousted chief as simultaneously a Renaissance prince and Robin Hood. In the 1990s Yury Luzhkov was very popular because he was a very stable person in a very unstable country – therefore Moscow was stable in comparison to other parts of Russia, notes Reinhard Krumm, Head of the Moscow office of a German Friedrich-Ebert Political Foundation. Now, however, there has been a change to the political landscape and the mayor of Moscow has not taken that into consideration. “Because Moscow is the center of Russia and a lot of investment is going into the country it needs a different approach to infrastructure than in the 1990s, and in that sense Moscow is lagging behind. That is why the President and the Prime Minister are thinking of changing that and that is not possible with former mayor Luzhkov,” Krumm shared his view. “Certainly, Luzhkov has been in power for too long. I think if he left five or six years ago, his legacy will be judged in a lot more positive way than now,” said Dmitry Babich, political analyst from RIA Novosti news agency. All governors who attempted to also be politicians, some seven of them, were step-by-step removed by Dmitry Medvedev and pensioned off. In no case did it lead to any negative political or economic consequences in the regions, so Moscow will be no exception to the rule, Babich believes. “President Medvedev has shown his will and his political maturity by [firing Luzhkov]”, he concluded. Keeping in mind the general difficulties that local businessmen encountered dealing with the former Moscow mayor’s administration and the way Luzhkov used to gum up foreign investors starting businesses in the Russian capital, the business community of Moscow believes that Luzhkov is a “greater evil” – and whoever the new mayor will be, he could not be possibly worse than the former, shared Vladimir Rozhankovsky, head of research at Nord Capital Investment Company.